You want to be in on the world of Internet business in Mississauga. You know there’s money to be made from the far corners of the globe, or your local neighborhood in Vaughan, and you’ve even got a customized website that tells anyone who sees it exactly what your goods and services are all about. Now all you need to do is sit back and count the cash as it rolls in, right? Not really. A website will just sit on the Internet like a car without gas if it doesn’t have the right fuel to steer it towards the best markets and that’s where search engine optimization (SEO) for small business comes into play. It’s the fuel your website needs to stand apart from all the competition on the Internet in Etobicoke. Fair enough, you might say, but what is this SEO really all about and how does it work for my bottom line? The answers are easier than you might think. The big search engines like Google need a way to categorize things that people are looking for. So they developed a system to match up businesses with the keywords people use to search for them and place these websites in corresponding order. 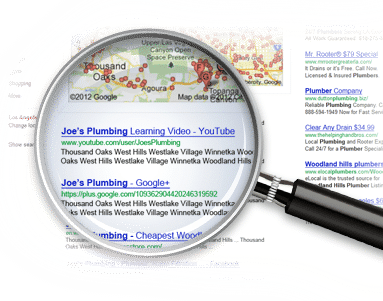 If you know the keywords your target audience uses and place them in the right spots on your website, you stand a better chance of being in the top results when someone is looking for what you sell. Of course there’s a little more to it than that. A little additive to the keyword fuel are called links and those are the mechanisms that make the keyword light up when you click on them and take you to a different page. These are also instrumental in getting you a favorable ranking on the web. Asking, ‘What is SEO for small business?’ is valid because everyone starting an enterprise on the web in Ajax, or looking to get exposure for any exciting venture in Pickering needs the right tools to become a success. This entry was posted in SEO and tagged on December 13, 2012 by ReferLinks Online Marketing.